I love the Winter Olympics: every crash, every photo finish, and every twizzle. This year I found myself going through boxes of tissues as the stories of some of these amazing athletes were revealed. It turns out they are human just like us. Their stories go beyond their victories and athletic celebrity. They've sacrificed their bodies for the opportunity to medal for their country- fall after fall! Jeremy Abbott had one of the most memorable crashes on the ice I've ever seen. During his first jump, he fell hard, slamming to the ice, landing on his hip and ribs. He seemed stunned by the fall, but when he looked up and saw an audience of people watching and waiting, he knew he couldn’t stay down. They didn’t come to watch him quit. The failure to complete one jump, didn’t mean that he would fail to finish his routine. He could have crumbled under the humiliation, but he didn’t- he picked himself up and finished. As we looked on, we saw a big fall, but we also witnessed a heroic rise. Have you started something that you didn’t finish because it seemed like a complete failure? Just because you've fallen doesn't mean you can't finish. What will you finish? 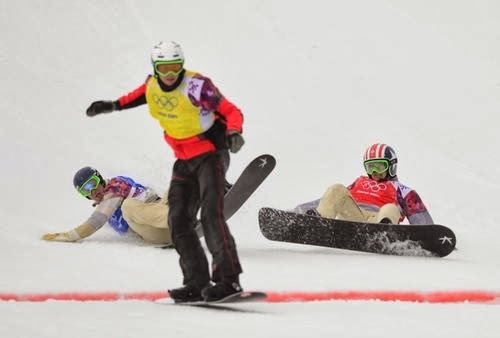 Later on during the games, Trevor Jacob and Alex Deibold crashed through the finish line during the snowboard cross semi-finals. During this particular race, only the top three finishers would advance to the medal round. Trevor Jacob, looked like he had secured his position to finish in the top three, but he was unable to hold his lead when he and fellow US athlete, Alex Deibold, simultaneously crashed right before the finish line. Deibold would slide into the medal round literally by a hair, and then go on to win Bronze for the United States. What fascinated me about this fall was how a defeated Trevor Jacob got up and immediately went to Alex Deibold to celebrate his victory. He didn't see this fall as his failure, but rather as his teammate's victory. 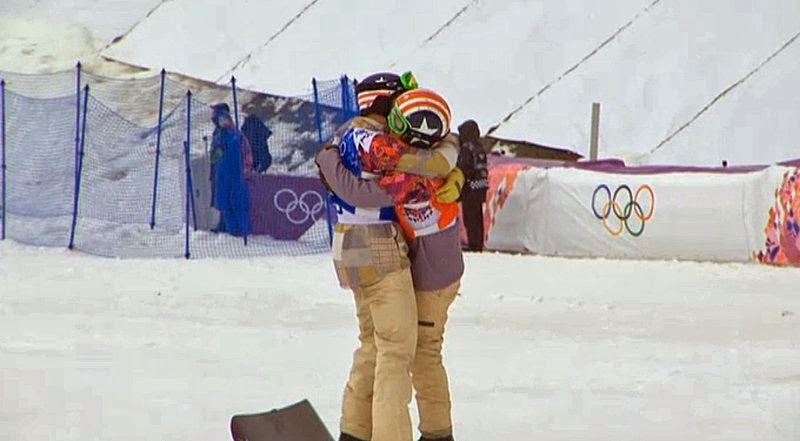 This was one of the most powerful moments for me as I watched the winter games, and the most dynamic displays of sportsmanship I've ever witnessed. In the midst of your defeat, do you have the courage to celebrate the victory of others? What did the Sochi Winter Games demonstrate and teach us that we can apply to our life and faith? Falling is not the same as failing! Maybe we can relate with Jeremy Abbott, we’ve worked hard to offer up something incredible, but ended up on the ground instead. Falling is not the same as failing. We don’t have to stay on the ground, defeated by the fall. We can lean on the redeeming love, and grace of God. Our audience of one encourages us to rise as we hear his voice say to us, "Get up, you're not finished." Maybe like Trevor, victory has been snatched from us at the last second, as we’ve crashed to the ground we’ve watched others enjoy victory and realize our dream. Falling is not failing. When those around us succeed we can be encouraged by their victory and know that defeat is only defeat when we stay on the ground. 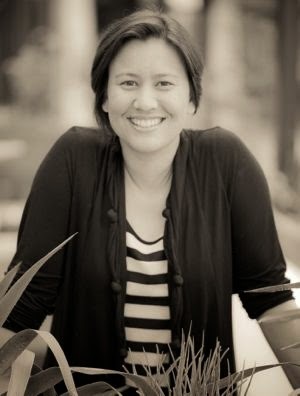 Theresa is a youth advocate, writer and speaker. She’s also a professional singer who has performed with Travis Cottrell and Beth Moore’s Living Proof Live conferences, Nicole C. Mullen, Truth and many others. She’s married to BUMC’s Worship Arts Director, Joe Mazza. Check out more from Theresa at theresamazza.com.